About 100 people were witness to a most unusual wedding at the weekend. 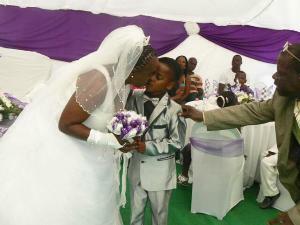 The bride was 61 years old and the groom was an eight-year-old boy! Both families were present at the wedding of Sanele Masilela (8.) and Helen Shabangu (61) and the bride's husband and her five children were also at the wedding in Zimbabwe. The boy's aunt, Patience Masilela (46), explained why the wedding took place. She said: "The boy was named after his late grandfather who never had a white wedding, so the ancestors told the boy to get married and he chose Helen to be his bride. The family took his desire to get married very seriously. They paid for the bride in March last year and spent a lot on the wedding because they believed it was what the ancestors wanted." The bride said: "I'm married and have five kids of my own, but I know that this is what the ancestors wanted – and now they are happy. It is a ritual. We are just playing now, but it is a sign that he will get married one day." The young groom said: "I told my mother that I wanted to get married because I really did want to. I chose her because I love her and I'm happy that I married her – but I will go to school and study hard. When I'm older I will marry a lady my own age." The bride's long-time husband, Alfred Shabangu (65), said that he never had a problem with her marrying the boy because he too knew that it was what the ancestors wanted. My kids and I are happy. We don't have any problems with it," he said. However, some community members said they were shocked. One woman said: "How can a family go this far for the ancestors? It shows that people do take messages from the ancestors seriously." This was a not a legal marriage – it was only done for ritual purposes. The happy couple sealed their marriage with a kiss. It's only in Zimbabwe such thing can happen. I read a story of how a man took 3 ladies to the altar same day in Zimbabwe too. 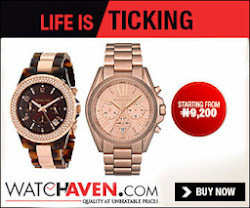 their end time is nearer than any other country in africa.